4th Futurity Playin with the big boys! 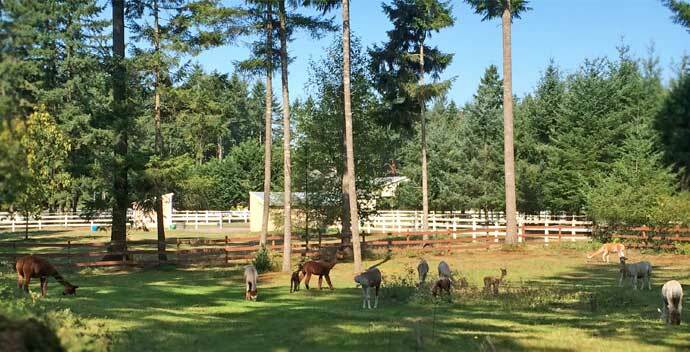 One of the stars of our herd, Silhouette is a truly stunning dark fawn beauty with unbelievable fiber. Rarely does fleece top the charts in character, density, fineness and crimp all at the same time, but this girl's fleece has it all. 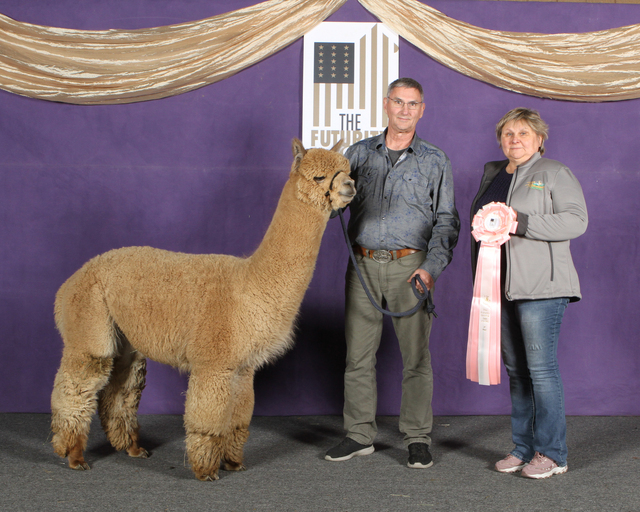 Evidently, the judges agree, awarding her eight banners, 16 blue ribbons, a Judge's Choice and other assorted awards before she retired from the show ring. Silhouette's success in the show ring is backed by statistics. 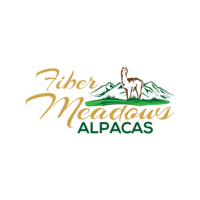 Check out these fiber stats for a dark animal more than five years of age and bearing crias: 19.7, 3.9, 20.0 and 1.6. Wow! In addition to her impressive histogram numbers, Silhouette's skin biopsy shows that she has 84 follicles per sq. mm of skin, indicating extremely dense fiber. To put that number in perspective, Dr. 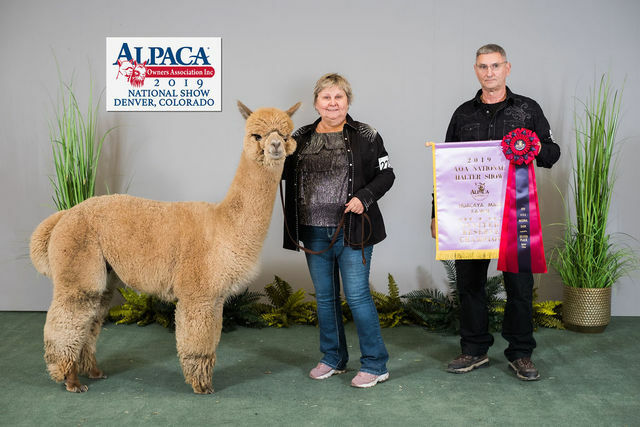 Norm Evans, who analyzed the skin biopsy, wrote, "the average for huacayas is about 39.75," and "superior breeding stock that seem to win in the show ring is 55-60+." 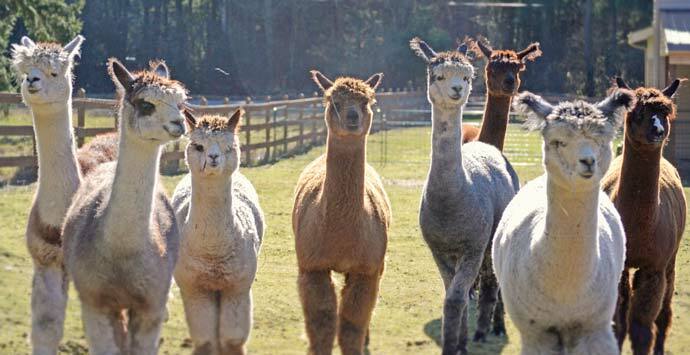 Silhouette's biopsy also shows a ratio of secondary to primary fibers of 18 to 1, compared to the average S/P ratio in the alpacas that Dr. Evans has evaluated of 9 to 1. 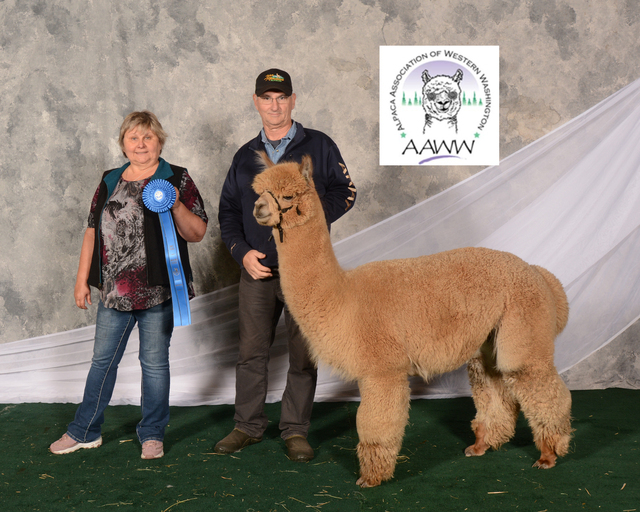 Silhouette is the daughter of multi-color champion MFI Peruvian Donovan and three-time color champion APP Peruvian Phlirtation, as well as the granddaughter of the famous Augusto and great granddaughter of the revered Royal Fawn. 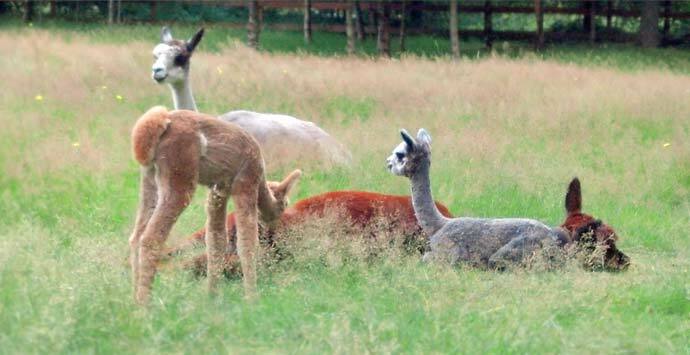 Silhouette's first breeding was to 5X Multiple Champion SA Peruvian Oracle, and that pairing gave us a fabulous true black male, Snow Diamond Sgt Pepper. Sgt Pepper, also a multiple champion like his parents, already has several dates lined up for him in the spring of 2013. 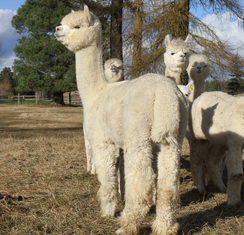 Silhouette's 2012 cria by the awesome Golden Thunder, is Snow Diamond Thunder Road. 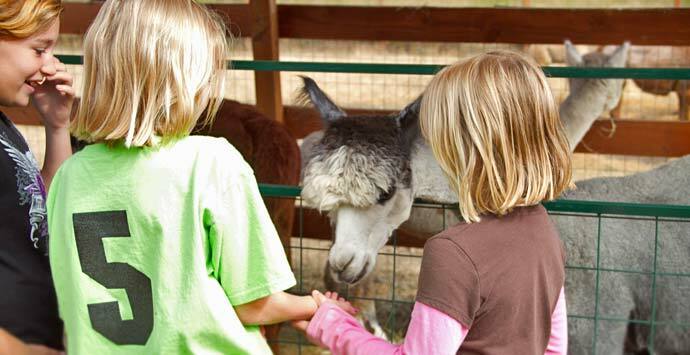 With his rich medium-brown color, black points and curly fleece, this little guy is a spitting image of his half-brother Snow Diamond Thunder Bay. 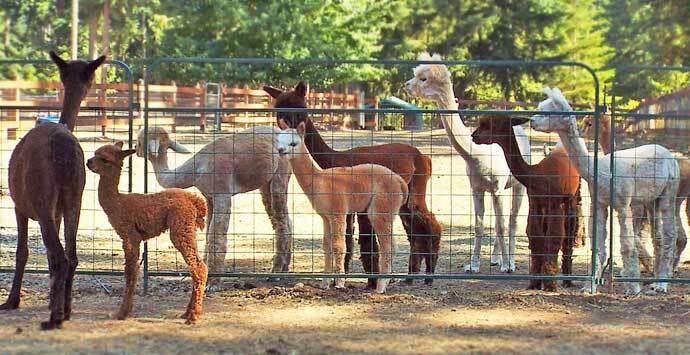 Silhouette is bred to Snowmass Matrix Madness for a 2013 cria. Kentucky's mother - Silhouette is an 8x champion and produced multiple champions. Kentucky's father - Defiance has won numerous awards and championships, including the 2013 and 2014 IAO Supreme Champion. He is a 7x Champion and 10 time Blue Ribbon Winner himself!! Judge- Sharon Loner, says "I am having a hard time to even find any deductions on this male" during walking fleece judging. Jill MacLeod - says "beautiful male, great substance of bone, with great fineness and handle, bright fleece, and very uniform in micron, can't wait to this male in the ring next year". 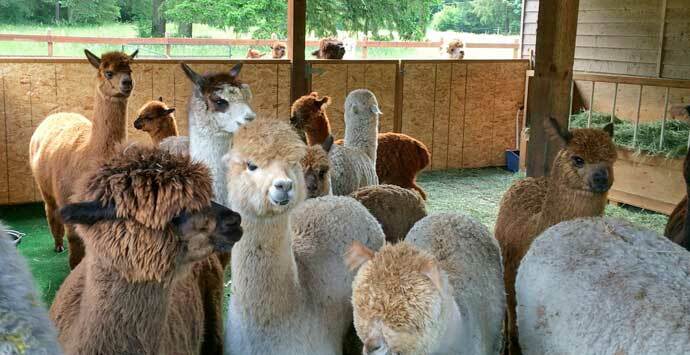 Amanda Vandenbosch placed him 5th out of 12 animals at the July 2018 AOA National Fleece Show in Nashville. She said he had good fineness & frequency to staple, and soft to hand.